Dr. Hinchcliffe graduatued from the prestigious Bastyr University in Kirkland, WA in 2001, earning her doctorate of naturopathic medicine. She received her pre-med undergraduate degree from The Evergreen State College in Olympia, WA in 1995. Dr. Hinchciffe is a native of Washington state, born in Everett and raised in Snohomish. She now resides with her two children and husband in the pacific northwest on the beautiful Bainbridge Island. Dr. Hinchcliffe spent the last ten years working at the Tahoma Clinic in Renton, WA, with Dr. Jonathan Wright, MD. 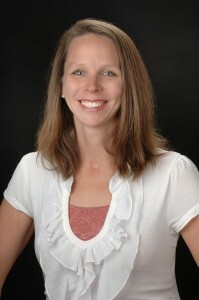 Dr. Hinchcliffe is an active speaker and writer in the naturopathic health field. Two of her joint papers have been published in peer reviewd journals: Hormone Replacement with Estradiol: Conventional Oral Doses Result in Excessive Exposure to Estrone, Alt Med Review Volume 10 Number 1 2005, and Urinary Hormones, Townsend Letter January 2008. Dr. Hinchcliffe has been a speaker for the Bio-Identical Hormone Society, International Hormone Society, American Association of Naturopathic Physicians, various local venues and even traveled to Singapore with Dr. Jonathan Wright to educate doctors in Asia about Bio-Identical Hormone Replacement Therapy. Dr. Hinchcliffe is also a regular replacement host for Dr. Jonathan Wright on his KVI AM 570 call-in radio show Green Medicine Saturdays 12-2pm. By visiting the website Green Medicine, you can search for Dr. Hinchcliffe’s broadcasts. The Tahoma Clinic offers free health talks on Tuesday evenings, given by one of the practitioners on staff. Dr. Hinchcliffe’s most recent presentation, ‘Biofilms – What They Are and How They Affect Us’ can be seen and heard on the Tahoma Clinic Blog.